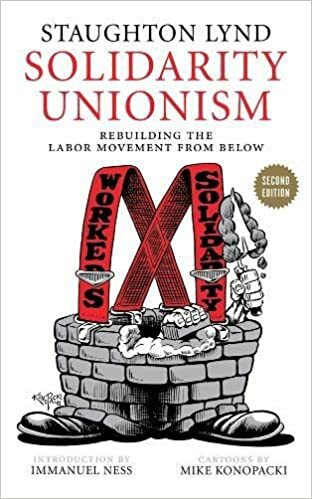 Critical reading for all who care about the future of labor, Solidarity Unionism draws deeply on Staughton Lynd’s experiences as a labor lawyer and activist in Youngstown, Ohio, and on his profound understanding of the history of the Congress of Industrial Organizations (CIO). The book helps us begin to put not only movement, but also vision, back into the labor movement. There is a blossoming of rank-and-file worker organizations throughout the world that are countering rapacious capitalists and labor leaders who think they know more about work and struggle than their own members. To secure the gains of solidarity unions, Lynd has proposed parallel bodies of workers who share the principles of rank-and-file solidarity and can coordinate the activities of local workers’ assemblies. Detailed and inspiring examples include experiments in workers’ self-organization across industries in steel-producing Youngstown, as well as horizontal networks of solidarity formed in a variety of U.S. cities and successful direct actions overseas. This book is not a prescription but reveals the lived experience of working people continuously taking risks for the common good.